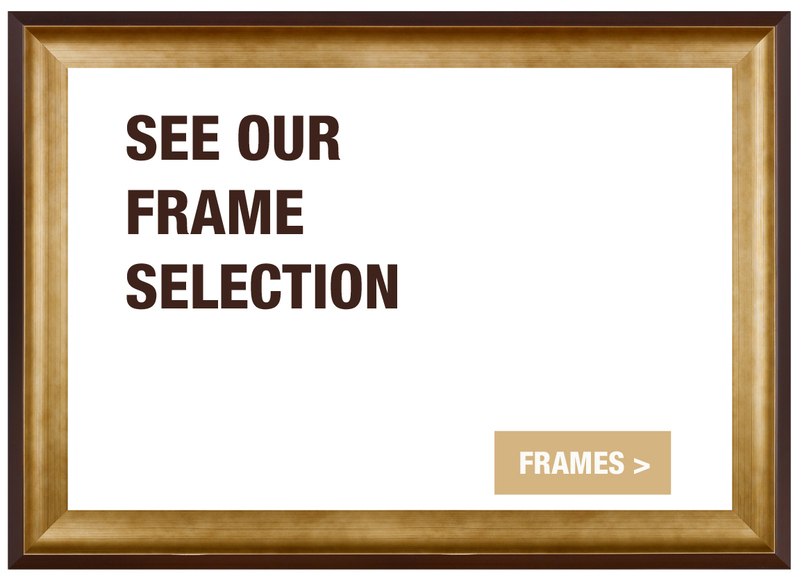 All of our frames are custom-made to fit your decorative image. All frames are made of 100% wood with no plastic parts, which makes for longer-lasting and more resistant frames. For large-format professional photo paper and for Fine Art photo prints, your print is glued on an acid-free foam board backing. This give your image extra rigidity and ensures that your print will remain flat in its frame for a long time. These prints are also covered by a transparent piece of glass in front and are ready to be hooked on your wall, with included hardware. For Acrylic (Plexiglas) and Gatorboard, as well as for large format Canvas prints, no glass cover is added, so that your image can show off the texture of the printed surface. Regardless of the printing material you choose, framing your artwork will add exceptional value and ensure that results are visually stunning and long lasting.